Without a doubt, Elsa is the hottest Halloween costume this year. If your little one is begging for one—and you still haven’t had a moment to get it—you know it won’t be an easy find. Already sold out? Some secondhand websites are offering custom-made Elsa costumes, but they’re going for upwards of $400 to $900! 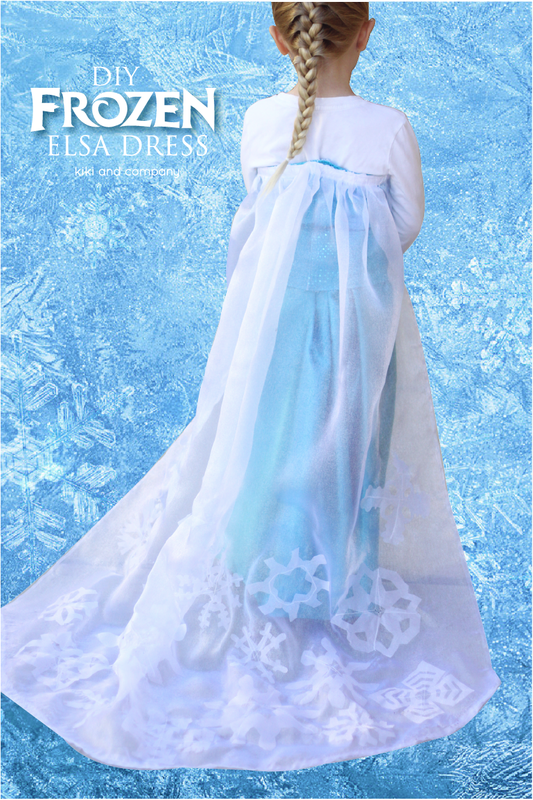 The good news is, with a little determination and a lot of creativity, it is possible to make your own Elsa costume. We’ve rounded up the best DIY ideas online and have added a few of our own. Let’s get cracking! 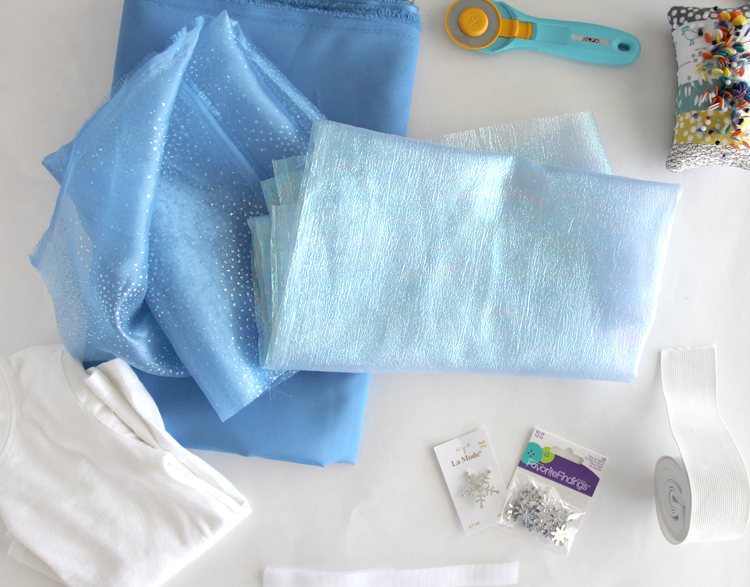 The first thing to consider when making your Queen Elsa dress is comfort. Even if it’s gorgeous, if the material is itchy, your child will not want to wear it for very long. That’s time and money out the window! You’ll also have a very cranky Elsa on Halloween night. For the base of your comfy costume, we recommend a white long-sleeved cotton T-shirt. Find an old one in your closet or get one on a site like VarageSale for as low as $1-3! Cotton allows for maximum breathability and comfort, while the long-sleeved option will help keep your child warmer than sheer sleeves would. If you live in a chillier area, you’ll know this is extra important! This how-to from Kiki & Company focuses on a beautiful Elsa cape and uses the long sleeved cotton white T-shirt for a base. For trick-or-treating, you’ll want to make sure the cape isn’t so long that your child will trip and fall. Your dress doesn’t have to look exactly like Queen Elsa’s. Get online, and show your child images that are inspired by the iconic dress to see if she’d be okay with something a little more unique. The great thing about this option from the Hair Bow Company is that it doesn’t require expert sewing skills. And you can still pull it off with a white T-shirt. All you need to do is tuck the shirt into the crinoline-style tulle skirt, and finish off with a ribbon tie around your child’s torso. 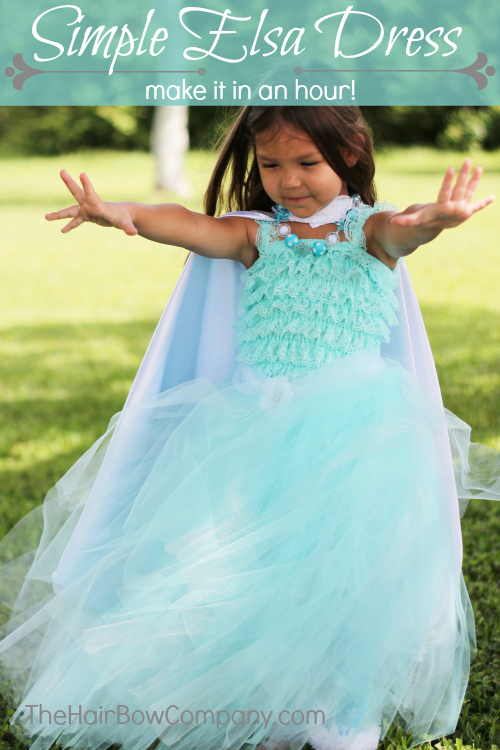 Don’t forget the cape—and now this Elsa-inspired look is complete! This dress also uses a white T-shirt as a base to keep your child warm and comfortable which, again, is a huge plus. The number one complaint when it comes to store purchased Elsa dresses is discomfort. You don’t have to be a seamstress to give your child the Elsa look. Below are a few ideas for using what you can find around the house. Remember, children have great imaginations. Include them in the creative process and they’ll definitely take pride in what you come up with together. Buy a secondhand Cinderella princess costume or any costume that features white, silver, and blue. Create a ‘knot skirt’ by tying long strips of white and blue tulle on an elastic belt until you’ve reached your desired fullness. Pair with a white long-sleeved T-shirt. Create a cape using sheer fabric. Embellish it with iron-on snowflakes and stars. Hot glue on a fringe. Purchase a secondhand white bridesmaids or Easter dress. Dye the bodice blue. Don’t forget the blue mittens! Make your child’s Elsa dreams come true without following the crowd! A little bit of creativity and a lot of a can-do spirit goes a long way in the world of make believe.